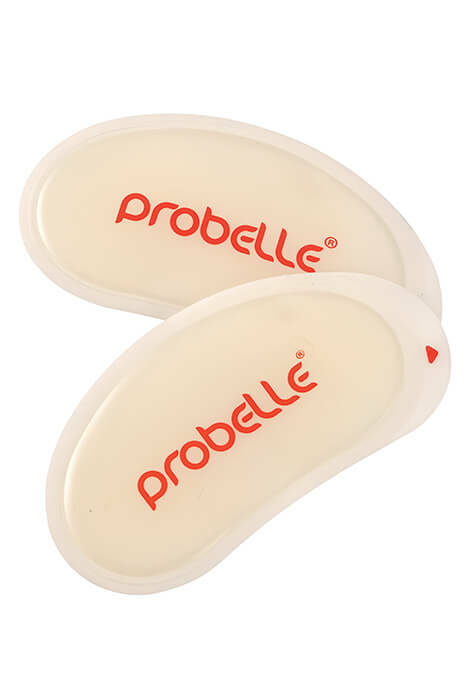 Barely-there Probelle® 90 Day Shoe Deodorant Patches deliver 90 days of freshness! Instead of daily powders, sprays or loose insoles, this natural, non-toxic foot deodorant patch hides under your shoe's upper as it fights bacteria and odors with 4 essential oils: patchouli, fenugreek extract, thyme and eucalyptus. 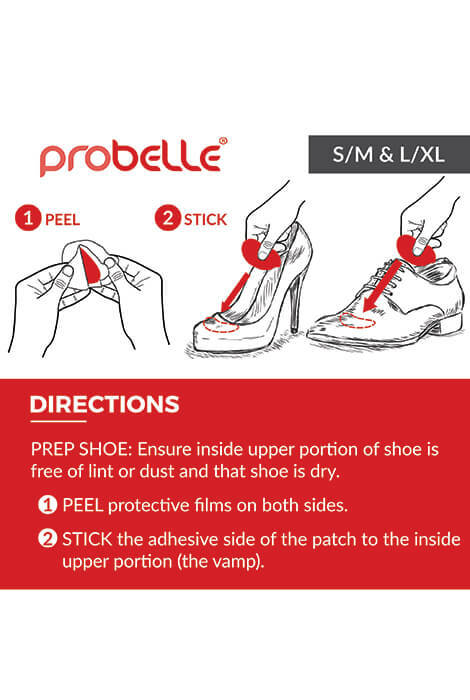 Forest-fresh, peel-and-stick antimicrobial shoe deodorizer is perfect for closed-toe shoes such as sneakers, boots, even pumps. Choose from small/medium (2 1/2" x 1 3/8") or large/XL (2 1/3" x 1 1/3"). May not adhere to wool or similar textures. Remove before washing shoes. Keep away from children and pets. Do not use if sensitive to ethanol, levomenthol or other oils.